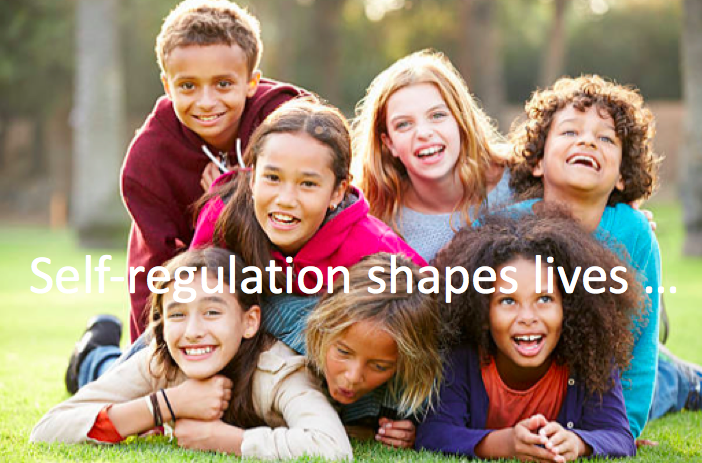 Why is self-regulation generating so much attention these days? Well, for one thing, we know that self-reg skills are essential for learning. 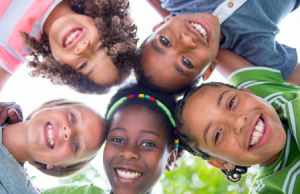 Recent research shows a significant gain in academic achievement for students who grow their capacities for self-regulation and social/emotional learning (SEL). Self-reg skills also have a significant impact on resilience and thriving. Again, research demonstrates that with strong self-regulation capacities young people are better prepared to meet life's challenges and rise to life's opportunities. The idea is simple: everyone needs self-reg assets. The more assets a young person has, the more chances that he or she will thrive ... even in difficult circumstances. Take 5! was designed with trauma in mind. The same self-reg assets that promote learning and generate wellness can also buffer and prevent the effects of trauma. 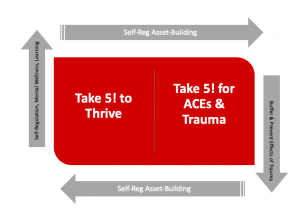 Adverse Childhood Experiences (ACEs) are a common trauma trigger. And people who have experienced trauma often have self-regulation deficits. With the Take 5! approach, the self-reg assets that foster thriving are exactly the same as the assets that buffer and prevent the effects of trauma. Take 5! puts the asset-building focus on all kids, not just some kids ... growing the self-reg capacities that support thriving. In this way, Take 5! integrates trauma-responsive practice with everyday SEL and self-regulation capacity-building. Among other benefits, this inclusive approach reduces the stigma of trauma and ACEs. It also acknowledges that everyone needs support to grow their self-reg assets ... including the adults who support kids. Self-reg asset-building makes a difference. With enhanced self-regulation capacities, kids are better equipped to meet the present moment. And the future.